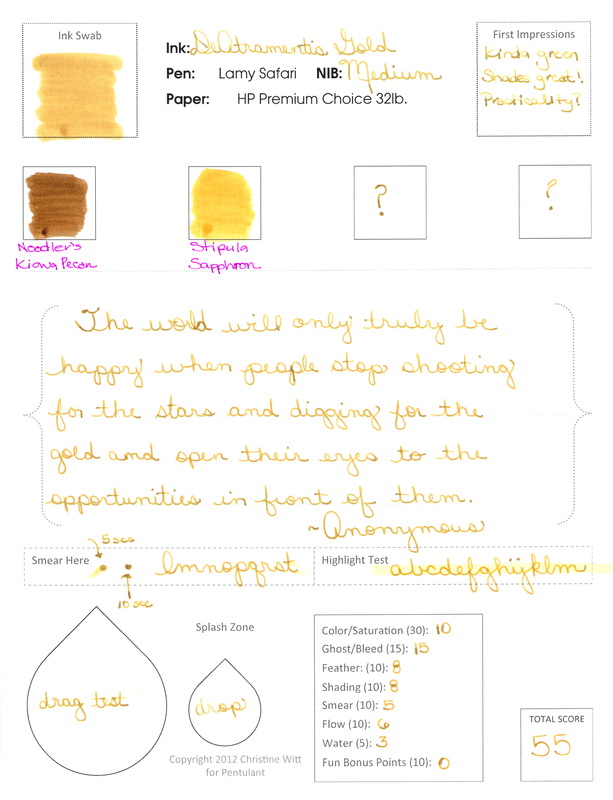 De Atramentis Gold is an interesting ink. It's not really gold, is it? And there's the trouble, hm? We all know by now what I love. Big bold colors. Lots of saturation. So I don't love this and I don't think the name matches the color. It wrote fine . . . 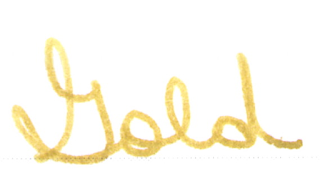 I will say this, though, if one is seeking this exact color, it is well-behaved in the pen. 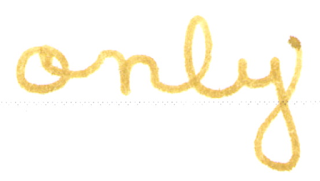 It does just fine with the water test, there's some of that wonderful shading we fountain pen users adore. This isn't my (even close to) perfect ink - but maybe it strikes a chord with you?